Minnesota farmers are following the NAFTA negotiations — which enter their fifth month in January — with one eye on their pocketbooks. Food exports to Canada and Mexico are important money makers for the state's agricultural economy, but if President Trump withdraws from the trade deal, as he's threatened to do, farmers say they'll lose millions. That could very well be the case for the Spronk Brothers farm in southwest Minnesota, where hogs are the main source of income. 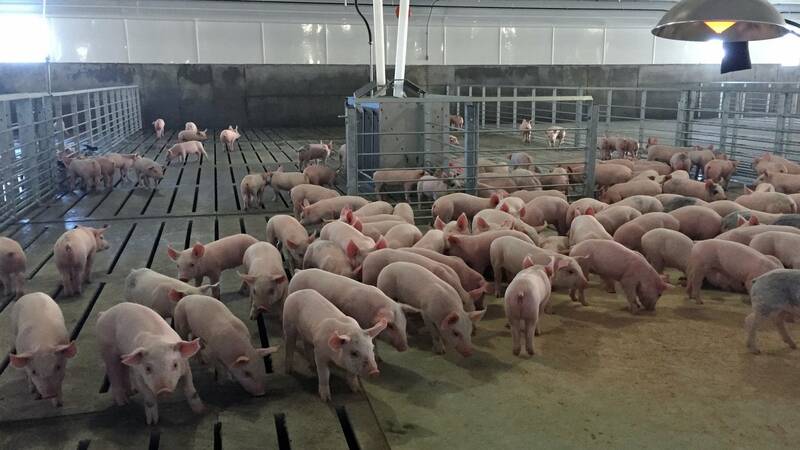 Randy Spronk said most of the meat from his animals will be sold in the U.S., but overseas sales are becoming an important trade market for him. 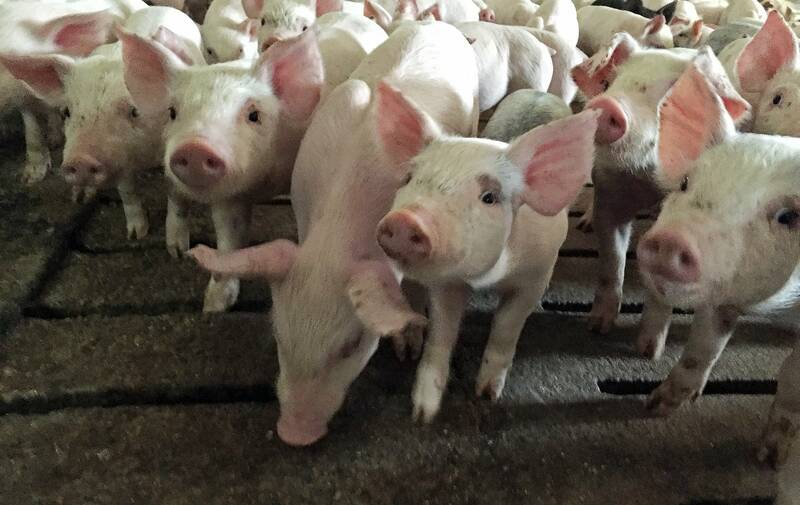 More and more of his pigs are ending up on dinner tables in Mexico and elsewhere outside the U.S.
"The swine industry in the United States exports a quarter of the market hogs that we sell each and every day," said Spronk. U.S. farmers exported nearly $40 billion worth of agricultural products to Mexico and Canada last year. And NAFTA is what has made those lucrative markets possible. But President Trump has been a fervent critic of NAFTA. "The worst trade deal ever made by any country, I think, in the world," said Trump. During his campaign for president, Trump said NAFTA was so bad he might end it. And now, he's attempting to renegotiate the deal, with better terms for the United States. But if the current talks fail, Trump has said withdrawing from NAFTA for good is still an option. Spronk said if that happens it could cost his farm over two million dollars in annual revenue. Spronk is a member of the U.S. Meat Export Federation's executive committee, and he's pushing for a solution, not a withdrawal. "What we're really trying to do is to point out the advantages and the benefits of these free trade agreements," said Spronk. "And particularly when it comes to NAFTA, which would be Mexico and Canada. Which are very good customers to rural Minnesota." Those markets aren't just "good" for Minnesota — they're over a billion and a half dollars a year good. 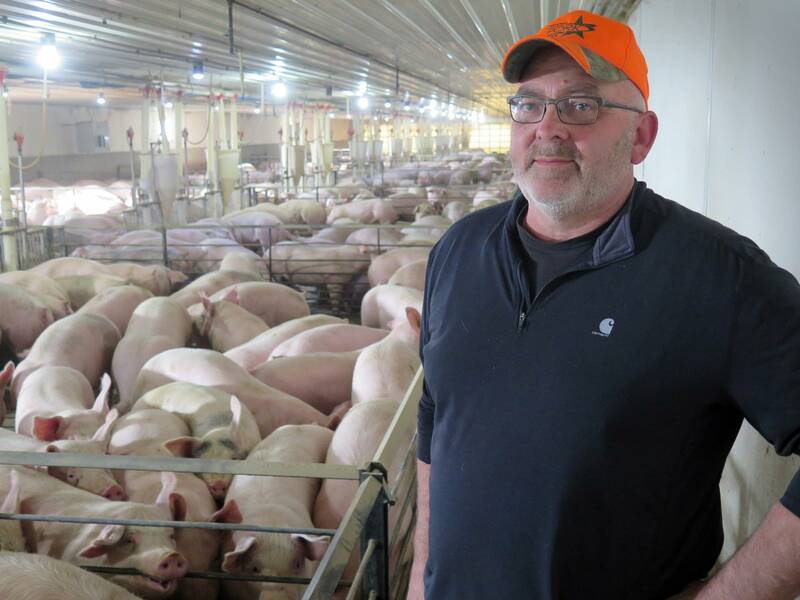 Sales of pork products alone to Mexico and Canada from farms like Randy Spronk's totaled about $200 million last year. Corn and soybeans from Minnesota made for an even bigger share, accounting for nearly a third of the state's trade with the two nations. Global grain marketer CHS, which is based in the Twin Cities, is a big part of that NAFTA trade. Vice president John Griffith says the farmer-owned co-op's trade with Mexico and Canada is critical to the company's future. "And any renegotiation of NAFTA that would do some unintended or intended consequences to that free and open trade of agricultural products would harm the producers and owners of CHS," said Griffith. The company and nearly 90 other American farm and food groups including Minnesota's Land O' Lakes signed a letter to the Trump administration last fall, saying a U.S. withdrawal from NAFTA would cause "substantial" damage to the country's agricultural sector. One major fear, according to University of Minnesota professor Cosette Creamer, is that Trump's threatened withdrawal could provoke counter-moves, especially from Mexico, before NAFTA negotiations are even over. "Mexico could basically instead of giving in, say 'okay we'll stop buying and we'll go elsewhere'," said Creamer. And that's already beginning to happen, Creamer said. Last February the European Union accelerated trade talks with Mexico. And in a message that appeared to be aimed directly at President Trump, the EU tweeted that it was time to build bridges, not walls. "This means that the leverage is actually in Mexico's hands and not the United States' hands," said Creamer. So far, the threats haven't had much of an impact on NAFTA agricultural trade. U.S. exports have actually increased this year. Spronk said the fact that the NAFTA countries are still talking is a hopeful sign. But pork producers won't rest easy until a new deal that protects their interests is finalized, he said. "We've got the market, we don't want to lose the market, we want to retain the market," said Spronk. And Spronk wants his pork products to continue to show up on dinner tables in Canada and Mexico. In the meantime, agricultural organizations are asking President Trump to "do no harm" as the NAFTA talks continue.